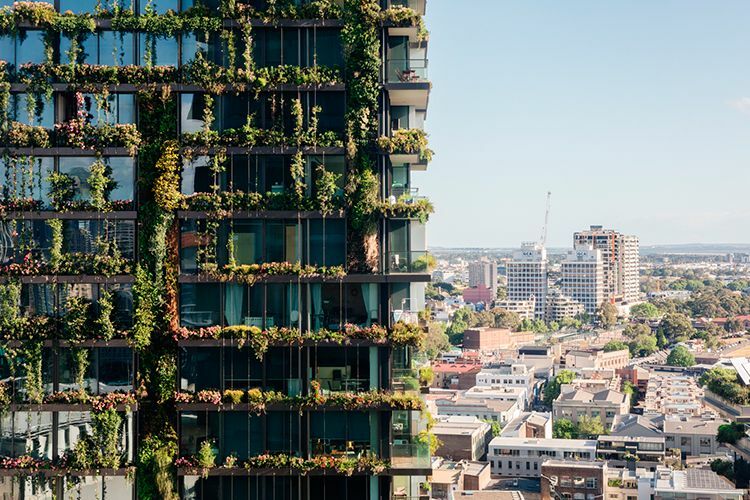 Katherine Lu is a Sydney based photographer who, after graduating in interior design, has come to love the challenge of architectural photography. Her residential and commercial photographs have graced the pages of many architecture and design magazines and we were thrilled that she took up the challenge of trying to capture this large scale development of Central Park for episode 4 of Density by Design and be part of the production. I think the series tackles a timely and important topic so I’m glad to be a part of it. I’ve been watching the Central Park development since its inception, curious to know what was happening to the site situated so close to where I studied. I was worried that in order to create the amount of apartments they needed they would be sacrificing public space (as is the case with many new residential developments unfortunately). 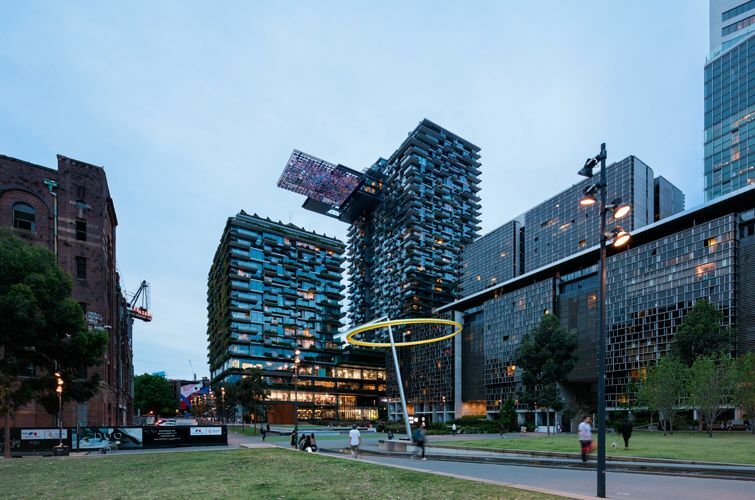 I’m glad that the final outcome is one that is inclusive of the public – from the shops to the park and through its connectivity with the surrounding suburbs. It’s such a large site and it’s hard to isolate one building and ignore the other. I think in order to cover a precinct like this or even a building like One Central Park you have to put the surroundings and users in place and provide some sort of narrative or context to the area. How I will start is to find the thing that attracts me most and go from there and slowly work my way around the buildings and precinct like it is a sculpture of some sort. Katherine has selected six of her photographs from the shoot that tell the story of Central Park from her point of view. I took this shot to show the One Central Park building in context. As you approach it, the vertical green wall really stands out amongst the other buildings on Broadway. 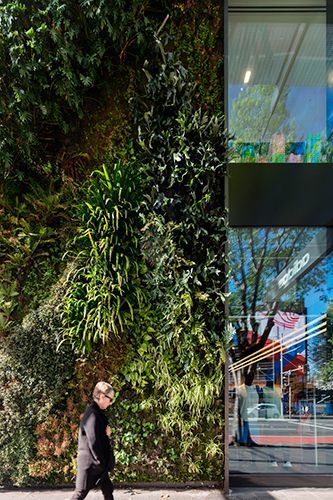 The green wall is an effective and straightforward way to convey ‘sustainable’ and ‘green’ to the general public and is one of the more distinctive features of the building. 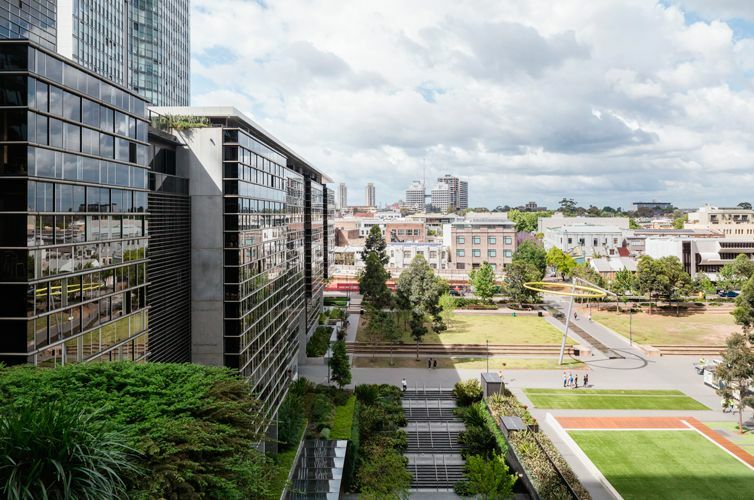 Contrasting scales – from individual apartments to the surrounding suburbs. The main thoroughfare within the site, connecting Chippendale to Parramatta Rd. 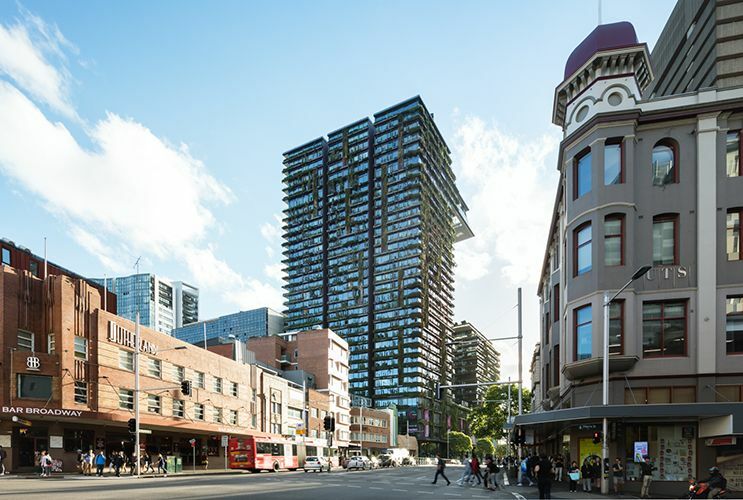 Chippendale as an art precinct and Central Park being a conscious player in it. Heritage sits side by side with the new build. Apartments coming to life as lights get turned on during dusk. So what are Katherine’s thoughts on the Central Park development post shoot? To photograph the site properly, it was important to provide context as well as human activity. I had to show Central Park’s relationship with the existing heritage neighbours and contrast its scale to other buildings along Broadway. I wanted to weave a narrative that demonstrates how users interact at various progressions of the site, with a glimpse of the private apartments to the wider public space below. Since the precinct is rather large, it’s informative to show scale through the use of people and capture the transition from day to night. 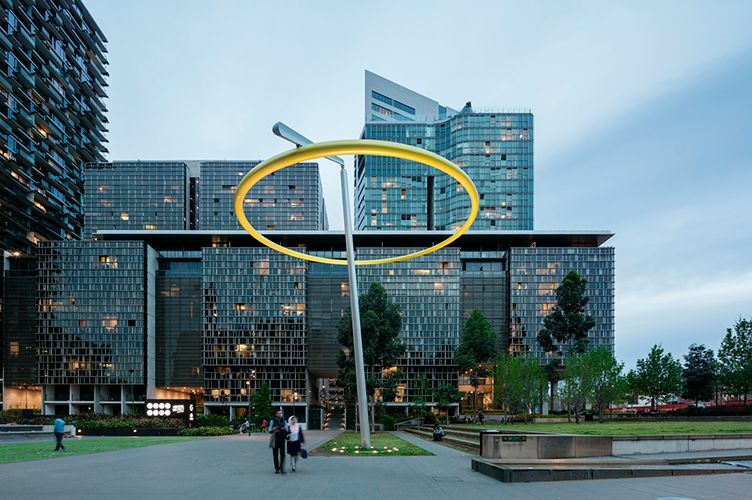 As a multi-faceted site, Central Park’s advantage is its proximity to transport and universities on one end, residential and art galleries on the other. With this in mind, I approached photographing it with the awareness of including this intrinsic outer layer of habitation and how it merges with my subject.